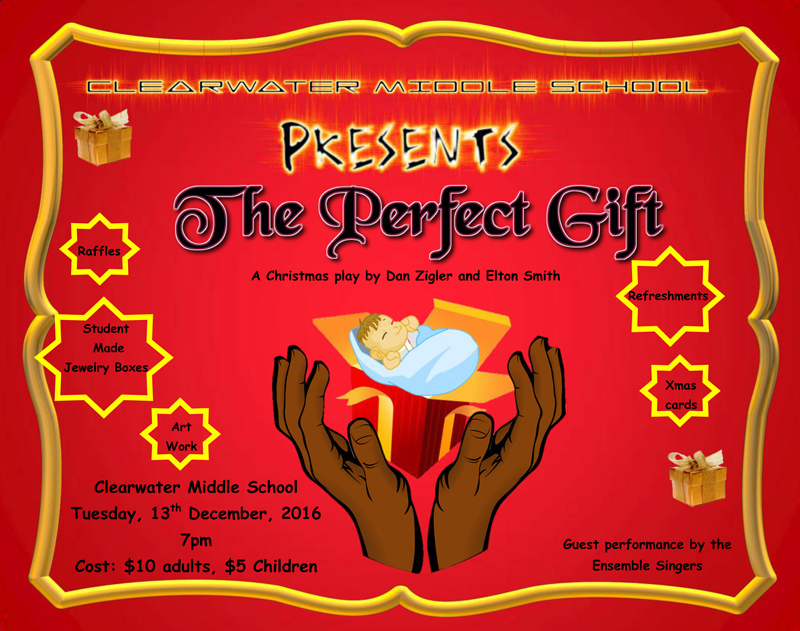 Clearwater Middle School is inviting the public to its upcoming Christmas production titled “The Perfect Gift,” set to be held tomorrow [Dec 13] at 7.00pm at the school. Tickets are available at the school, costing $10 for adults and $5 for students and children. A spokesperson said, “Students and teachers have been preparing for the Christmas Production since November. Whereas our music students having been preparing since September. “Additionally, we will have raffles on sale for $5, refreshments, and a host of Christmas gifts for sale.